I.O.D. has 5,200 ha of arable land (30-year usage rights) in Laos. This farmland is separated in 103 areas for customers. 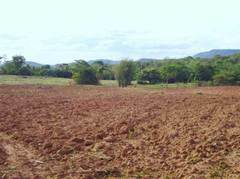 We will provide farmland to people who want to produce agricultural products as a business. Currently at our I.O.D. Laos Farms, we are directly producing natural rubber, aloe Vera, konjac yam, aromatic agarwood trees, Arabica coffee, garlic, ginger, pepper, pineapple, mango, dragon fruit and other produce.